DESCRIPTION WELCOME to Riverside Drive! This property is truly ONE OF A KIND. It’s flexible location and layout offers many options depending on your needs and dynamics. For the Large family, you will not find a finer home, spacious enough for all with room to grow! 4 Bedrooms, 2 Dens and 3 full Baths ensure everyone will have their very own comfort whether immediate or extended family! If a Home based business is what you run, the renovated basement has room for dayhome or salon or simply office space… cut out your commercial lease and bring it all HOME! For the MEN… whether Toys, Hobby or Business the Triple Attached Garage is such an asset. Not to mention The RV pad (another storage cost that can be eliminated). OPPORTUNITIES ARE ENDLESS… Rental Revenue is a definite possibility with a trendy basement suite that just needs small conversions. All situated on a Corner Golf Course lot! Must be seen to appreciate… EAT, SLEEP, PLAY, ENTERTAIN, WORK, GOLF, STORAGE, RENT any or all… the choice is yours! Home for sale at 916 Riverside DR Nw High River, Alberts T1V 1E2. 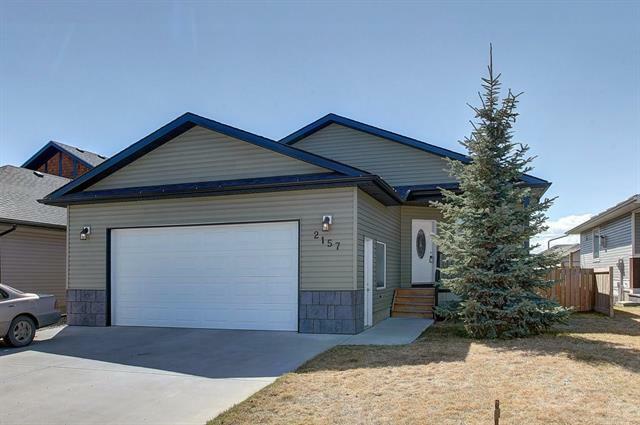 Description: The home at 916 Riverside DR Nw High River, Alberta T1V 1E2 with the MLS® Number C4223397 is currently listed at $429,900.